Hello again – the dates for my Singapore visit are now fixed and here is the information! 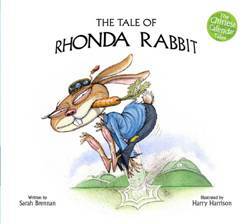 It’s been a fabulous Year of the Rabbit, and this year’s Chinese Calendar Tale bunny has been hopping around schools as far flung as Hong Kong, Shanghai, Beijing and London! Each session takes between 40 minutes (reading plus short Q and A – ideal for Grades 2 to 3) and one hour (more time for discussion included for Grades 4 to 6). I can do up to 5 sessions in a day (depending on session length), with session numbers ranging from single classes to full assembly halls! For Grades 4 to 6, I also can offer my Wacky and Wonderful Workshops. These include: How to Write a Really Riveting Story; An Introduction to Poetry and Publish Your Own Book from Brilliant Idea to Final Product and last between 30 minutes for Whistlestop Workshops to one hour for Workshops including exercises. They’re colourful and great fun and the perfect way of encouraging kids to plan, edit and polish their work properly! I can do up to 4 x one-hour or 5 x 30 minute Whistlestop sessions in one day. You’ll find full details about all the sessions as well as testimonials on the School Visits page on my website at www.sarah-brennan.com. Sarah Brennan is a Hong Kong-based author who visited GESS Primary last year and did a wonderful job presenting to Grades 3-5 students. She told her stories in a very lively and animated fashion and the students loved her. She also did a poetry writing workshop for the Grade 5 students where she got them to look at rhymes and the different styles of poetry writing. She has a website where she organizes monthly writing competitions which gets students excited about sending her their stories and poetry. She is a very lively woman who gets the students to listen, enjoy and ask questions.